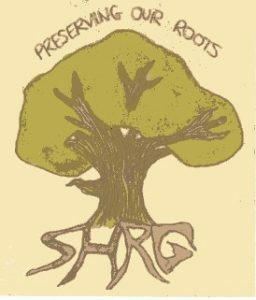 Sandy Historical Research Group – – preserving our roots! 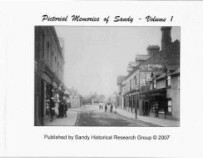 Sandy Historical Research Group was formed in late 2001, in order to capture the history of this Bedfordshire market town during the last 150 years or so (and further back where possible). 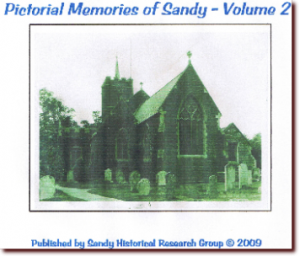 Sandy Historical Research Group published the first volume of ‘Pictorial Memories of Sandy‘ in 2007. The book contains 40 views and images depicting the life of Sandy, dating back in some cases to the turn of the 20th century and up to the 1950’s/ early 1960’s.There are still some copies available. 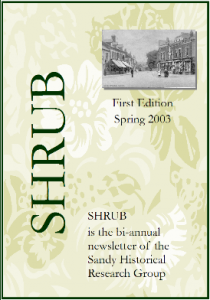 The second volume of ‘Pictorial Memories of Sandy’ was published in November 2009 and both are available online, from any Committee Member, or from Sandy Greeting and Stationery at 14 Market Square. The Sandy Show – 1869 to the present day. 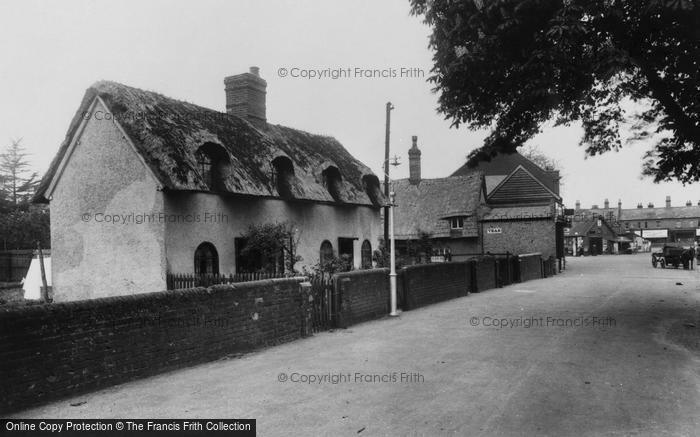 Many of the photographs in our gallery represent scenes from shows held at Sandye Place in the early 1900’s through to its last one held there in 1953, after the property had been sold off to Bedfordshire County Council and what is now Sandye Place Academy. However, as many of you may know, the Sandy Show was resurrected in 1966 and after Bickerdike’s Garden Centre closed in 1997 for residential development, the show has returned to its former venue. These days, the Show, ‘The Sandy Show‘ focuses on produce and handicrafts, with a number of trade and community group stands to complement the exhibits. Michael Rutt has carried out some research into the origins of a few of our Sandy local place names. The group has made several audio and video interviews of some of Sandy’s senior citizens, in order to capture their personal recollections of the last century. In May 2011, the Chairman and the Editor were kindly invited again, to speak on Biggles FM. During the interview, we were able to discuss the group’s activities and our future plans. We are grateful to Alan Waring for the opportunity to ‘spread the word’. Girtford Milestone – Richard Barlow wrote an article about the hunt for the Girtford Milestone, which once stood on the Great North Road. Following re-development of the A1 into a dual carriageway, the milestone has disappeared. Click here to read Richard’s article and to see a photo of the milestone. If you have any information about the history of Sandy, or something specific about any of the above projects, then please get in touch via a Committee Member. Or, email SHRG. The group presents several exhibitions of some of its collection of old photo’s and artefacts each year. We are continuing supporting these occasions, which will often be in conjunction with other local events such as Sandy Summer Festival day and the Sandy Show. Go to the Diary Section for news of the next scheduled event. If you want to learn more about modern day Sandy and a brief snapshot of the town’s history over time, please visit: Sandy Community Website.